We help ambitious retailers who want to make a step-change with their ecommerce strategy. We architect & deliver solutions that create better customer experiences and positive operational change. Our mobile report is available now with over 200 mobile retailers for 2019. 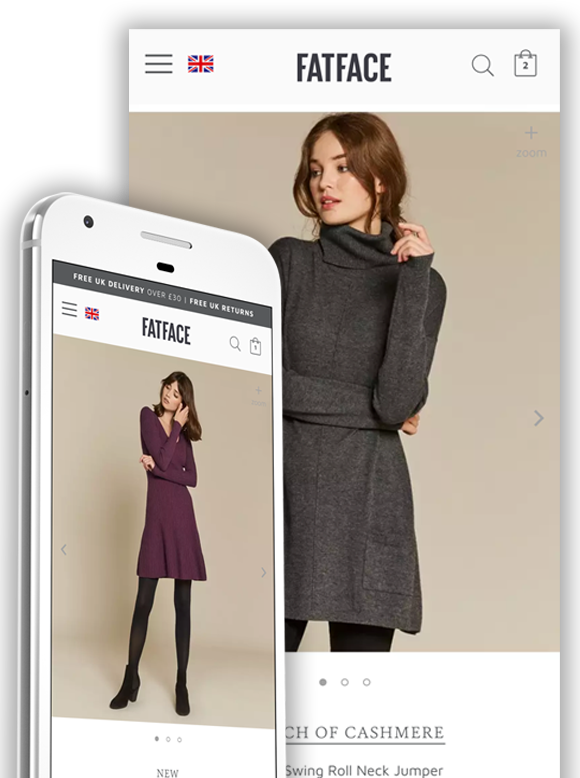 Unique insight into the leading mobile retailers in the UK such as FatFace, Burberry, Hugo Boss, Hollister Co., Warehouse, Oasis and more, all across nine industry sectors.